Its been Really long since UAIA have been out of action and we are here for all latest gossips and news for our fans reading this out there. This post is mainly to brief you about the semi final draws of the champions league 2011-2012. Semi-final 1 : Bayern Munich vs Real Madrird. A tough match to call seeing the way both the teams have been playing. According to uaia Bayern are the favourites as the finals will be played at the Allianz arena and even though Madrid have Mourinho i don't see them getting through and beating bayern this year at least. Whatever happens it will be a hard fought fight and both teams would go out all guns blazing. Just lets hope the better team wins. 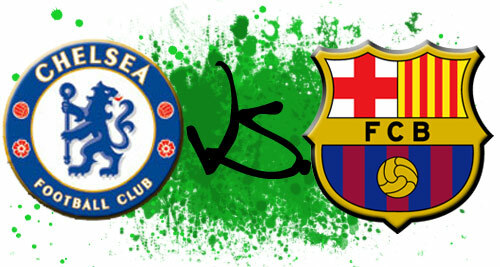 Semi-final 2 : Chelsea vs Barcelona. Every one around the world would be pretty sure that it would just be a formality for Barcelona. They have a definite reason to think that seeing Chelsea's form in the league. They just can't pull off a comfortable win. No player in top form in chelsea and its going to be really hard for them to reach the finals. Chelsea have to beware of messi's form who is scoring at approximately two goals a match and no one is able to control that little magician. Still you can't count chelsea out of this as you see last time they played Chelsea nearly knocked out Barcelona, the time when Chelsea didn't get there three penalties. 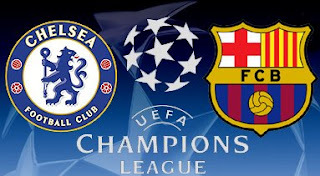 Its going to be really hard for Chelsea and pretty comfortable for Barcelona but we've had many shocks this season in the Champions League, lets see if we get one here.